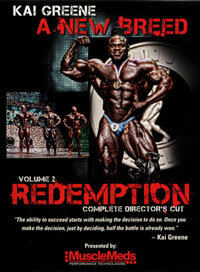 This full colour DVD includes the complete Professional event, including the Pro Prejudging. 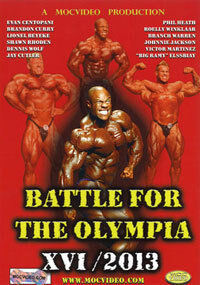 It features Charles Clairmonte, Samir Bannout (yes THE 1983 Mr. Olympia Samir Bannout), and Gary Lewer, 1989 Overall Mr. World. 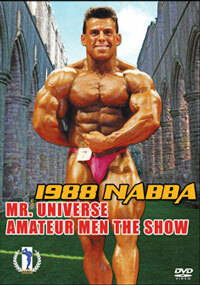 To the best of our knowledge, this was the only time that Samir competed with NABBA. It was an historic and stellar event in every possible way. 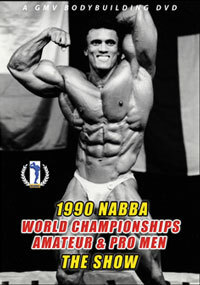 See all the posing routines from all of the competitors, plus posedowns and awards in this 100 minutes of outstanding World Championships bodybuilding in Australia. Both Terry Mitsos and Charles Clairmonte were most outstanding winners. 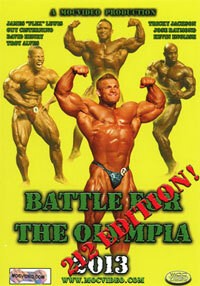 It truly was a battle of champions "down under". 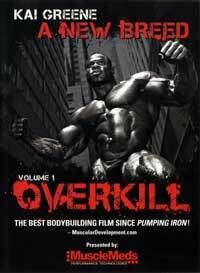 Although all the photos shot by Tina Gallasch are in B&W, this certainly is a full colour DVD! 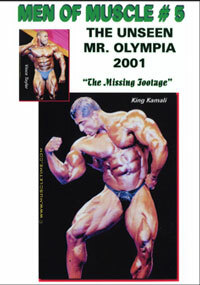 On the rear cover top left photo, see Charles and Samir comparing biceps. 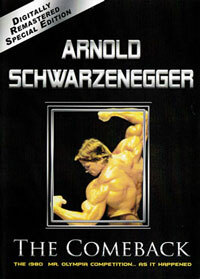 Both men were in fantastic condition. 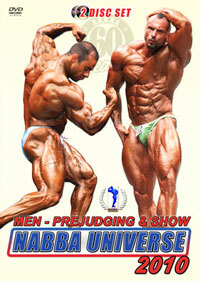 Please click here for the Men's prejudging DVD from this event, PCB-120DVD. 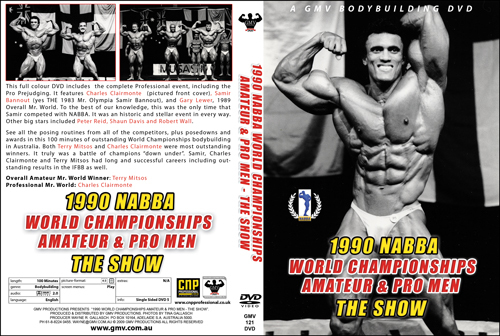 Please click here for the Women's Complete Event DVD, Prejudging & Show, PCB-122DVD.